CORPORATE EVENTS . PRIVATE PARTIES . SCHOOL LUNCHEON . SPORTS TEAMS . FUNDRAISERS . Got a party full of people to feed? 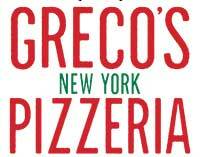 Call Greco’s! We cater to all your occasions, from school events, sports teams, private parties, fundraisers and corporate occasions. Our Catering Menu is only offered at our Tarzana location.